According to a recent IAB study, half of advertisers surveyed will continue to increase their spend on video through 2018 and beyond, with each spending an average of $10 million annually. Of these advertisers, two thirds plan to shift budget from linear TV to digital video. This aligns with consumer habits–people are increasingly turning to digital formats when they want to consume video content, particularly on mobile devices. Linear TV viewership has gone down in almost every age group, and among those that still watch TV, 87% admit to using a second device (Accenture), presumably turning their attention toward this screen during commercial breaks. People are also growing increasingly intolerant of interruptive ad experiences online: 90% of people skip pre-roll ads (ORC). Sharethrough’s latest integration with The Trade Desk for standard outstream means it’s now easier than ever for buyers to scale their video campaigns on brand safe, fraud-free content publishers across the Sharethrough Exchange (STX). Standard outstream spend on STX has steadily increased an average 20-30% day over day from over 100 campaigns since launching this format with The Trade Desk in July. The video is the only asset required, so buyers can use their existing video content with the added benefits of programmatic targeting and optimization capabilities. Within TTD’s marketplace, Sharethrough's performance PMPs enable buyers to achieve 60%+ video completion rates and 70%+ viewability rates. Find more info on how to run a standard outstream campaign on The Trade Desk here. 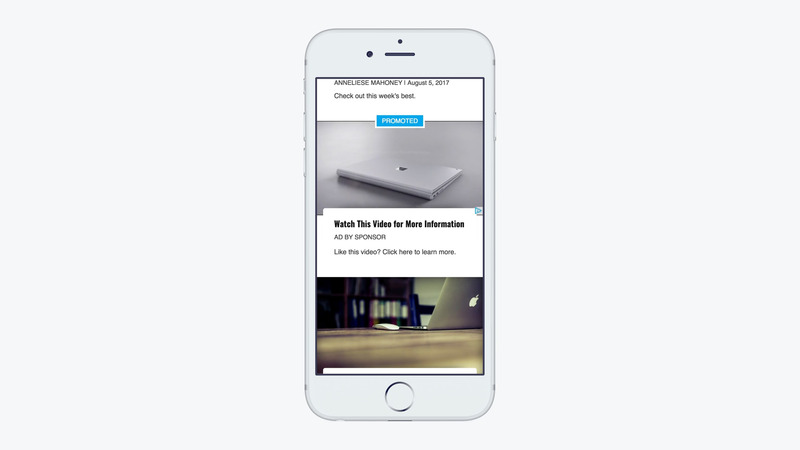 Many advertisers that work with Sharethrough are taking standard outstream a step further. By adding a headline and brand name alongside the video player, the native outstream format provides additional context for the video, giving people more information and incentive to keep watching. As a result, these ads drive better completion rates, more engagements, and higher brand lift than other video formats (example here). For a top consumer multimedia software advertiser, we compared performance between native outstream and pre-roll for the same video asset. By distributing the video across content publishers sites on STX accompanies by a mix of 21 different headlines, this brand was able to drive 45% lift in unaided brand awareness compared to 0% from YouTube. This campaign also drove 26% lift in subscription consideration. A well known CPG brand wanted to test the impact of headlines by comparing performance for the same long form video distributed in both standard outstream and native outstream formats. Adding a headline led to 37% higher completion rates, 23% higher sound-on CTR, and 9% lift in brand awareness than standard outstream. Advertisers who are focused on engagements and brand lift can use the native outstream format to provide additional context for their video campaigns with headlines and branding. To run these campaigns across the in-feed and in-article native inventory on STX, buyers can use their preferred DSP (The Trade Desk, AppNexus, DBM, Adobe, Bidtellect, Oath, etc). 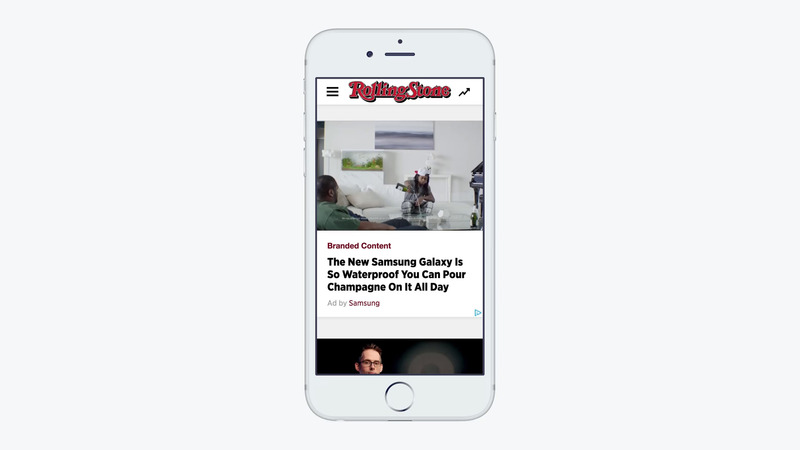 Although adding headlines enables native outstream to outperform other video formats, there is still a place for standard outstream. Since it is non-interruptive and the videos appear within publisher content, advertisers can still achieve better completion rates, more engagements, and higher brand lift when compared to instream. This format is also easier to scale since fewer assets are required. To learn more about how to run standard outstream and native outstream campaigns across STX, check out the tutorials and best practices on our support site .